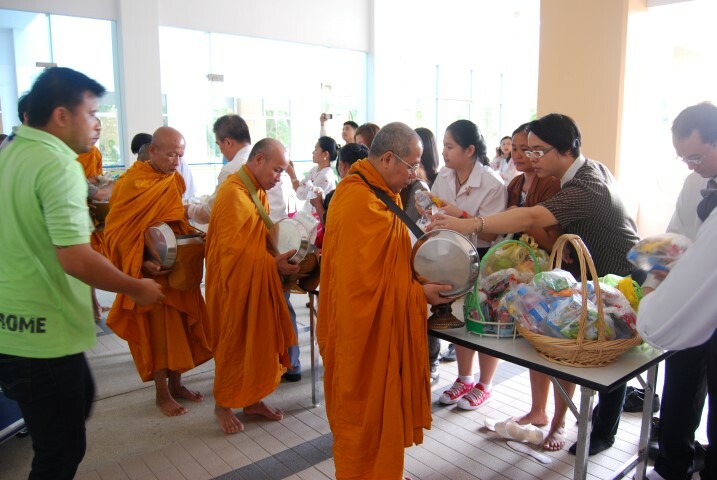 The 29 October was quite a special day at Asian University because that was when the local monks from Mab Fak Thong monastery in the village of Chak Ngev were asked to visit the campus and make merit. There were 9 religious brothers in attendance – a significant number in the Buddhist way of living, not only because it’s an odd number but it also means progress in Buddhist teaching which was very apt for this auspicious occasion. 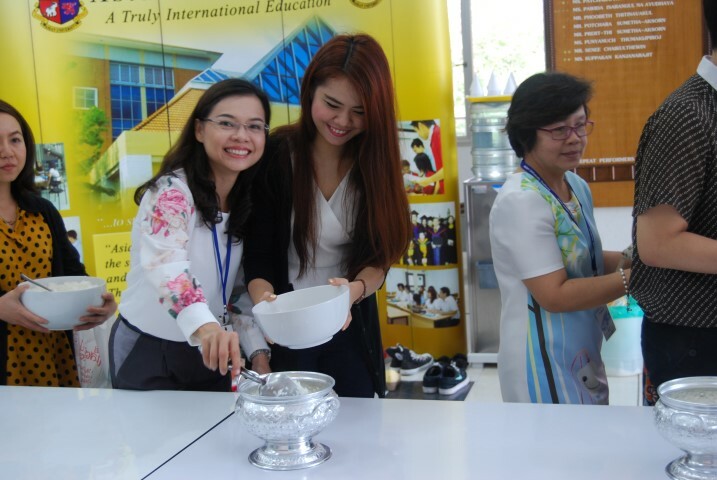 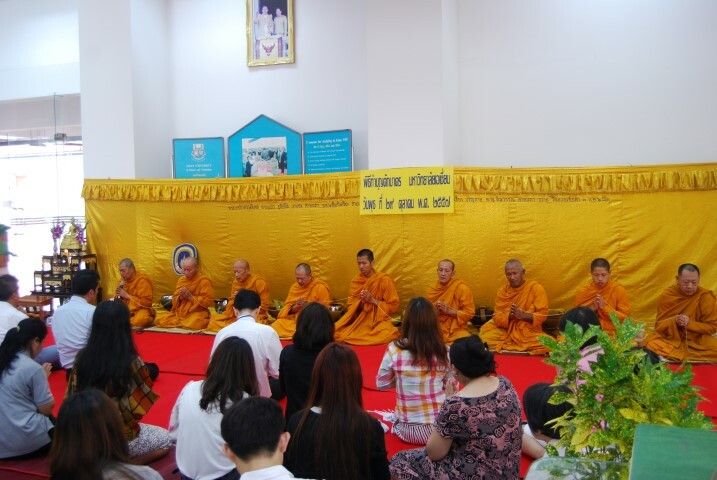 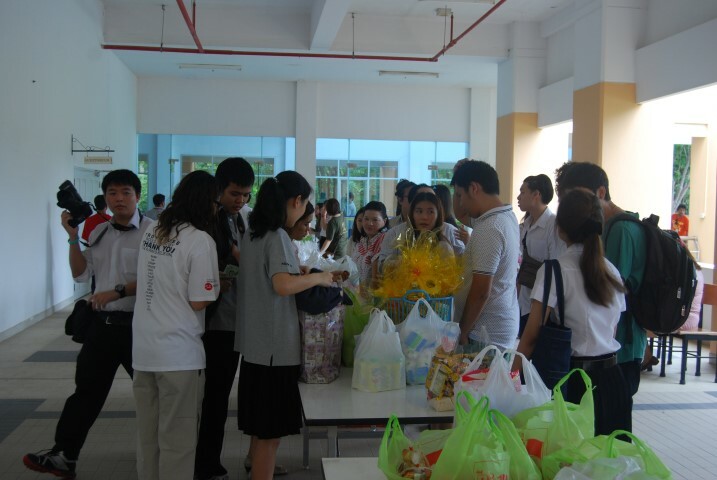 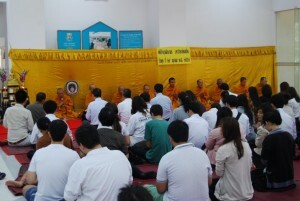 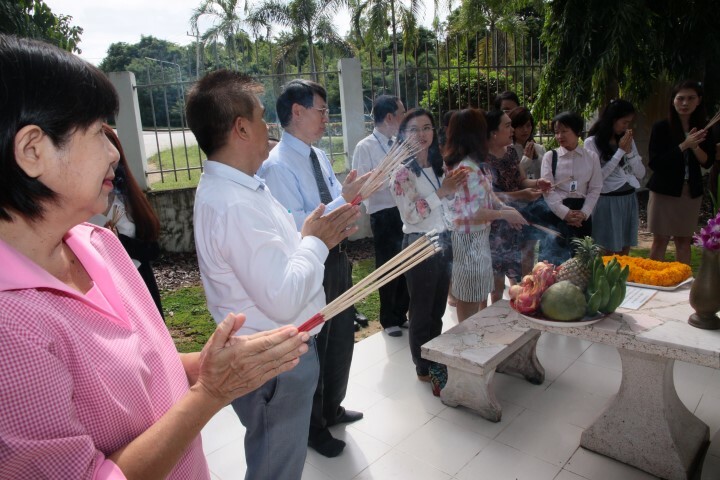 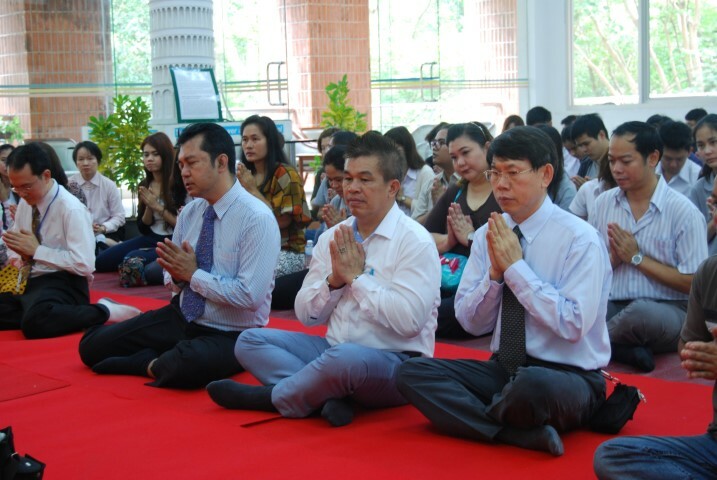 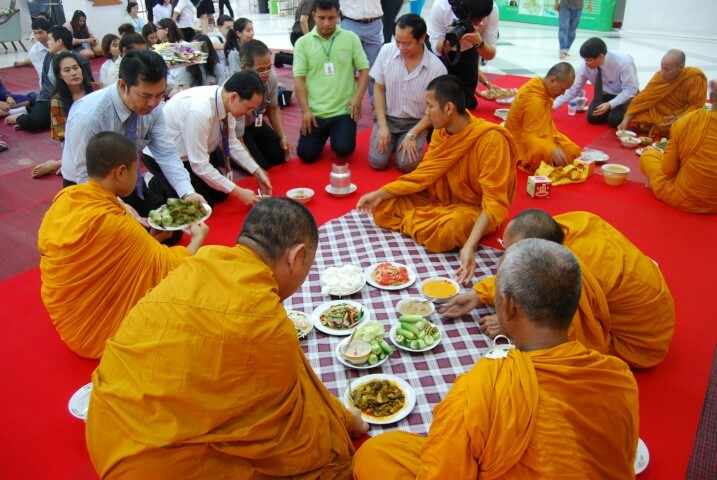 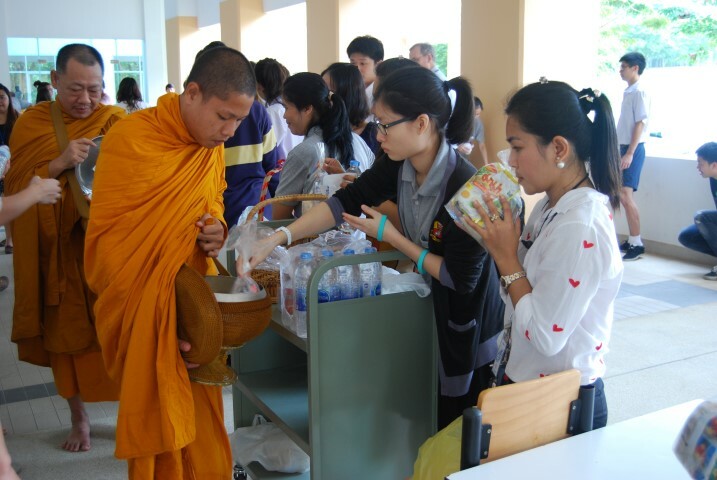 Food was prepared by staff and students alike and was gifted to the monks before and after the traditional incantations that took place in the purpose built praying area at the reception area the university. 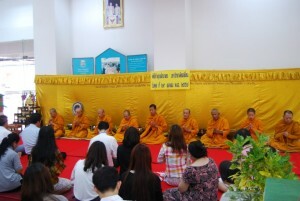 The worshiping began at 09.00AM and lasted until lunch time. 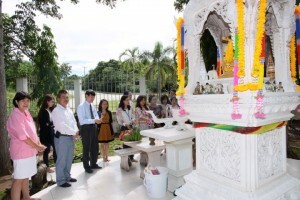 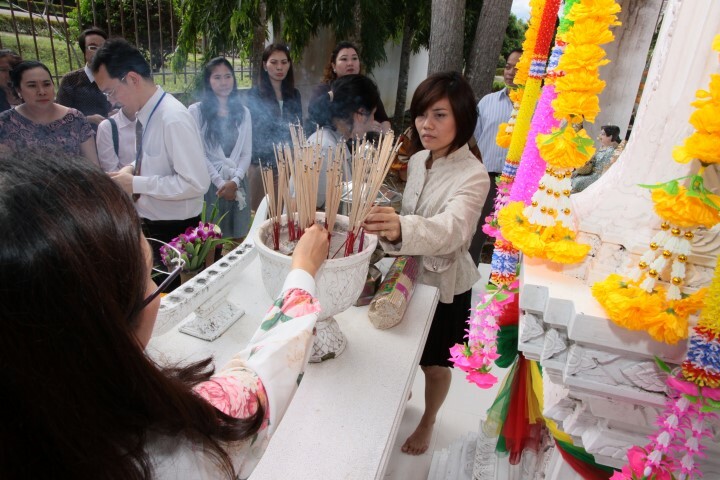 After lunch, the staff and students ambled over to the Buddhist shrine at the entrance of the university where they lit candles and prayed for peace, happiness and good health to their loved ones.